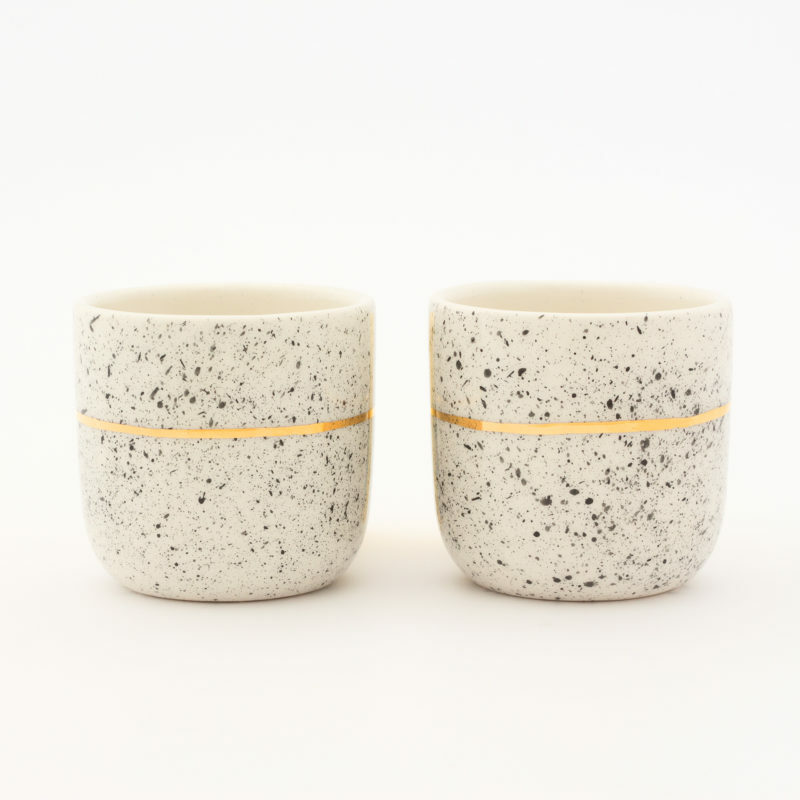 Their unique and elegant look make them an excellent addition to the modern home and kitchen. Each cup is colored separately. 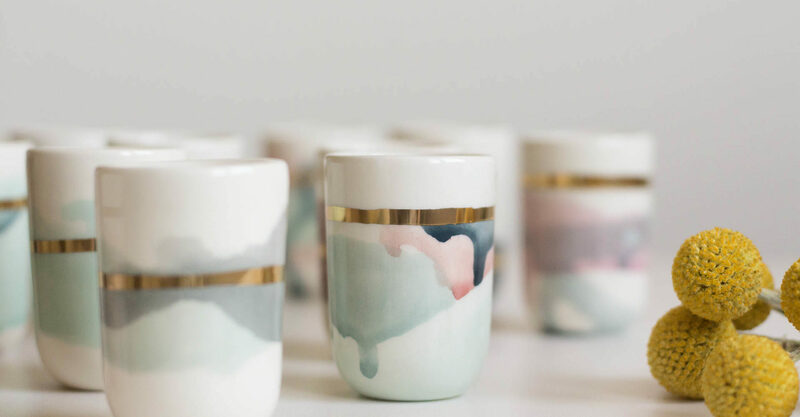 The watercolor tehnique gives them one-of-a-kind quality so no cup resembles to another. Maintenance All colours and glazes are LEAD FREE and FOOD SAFE. Dishwashers may endanger your piece and spoil its beauty, so please handwash.
. . . for true coffee enthusiasts! Each piece is handmade, skillmade, heartmade… But most of all, it is made to make somebody’s home a little bit cozier. Maybe that somebody is you! Since every piece is handcrafted, slight differences in drawing, color and form may appear. But hey, that’s the charm of handmades! Oh yeah, I want to receive Marinski news straight to my inbox!